Our English word canard is actually a French word for duck (the noun, not the verb). Used figuratively in both French and English it signals “an unfounded rumor or story” (Oxford American Dictionary). 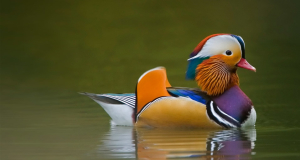 In this brief three-part series I am addressing three canards, i.e., three unfounded claims that Dispensational apologists make about Reformed theology. This series should interest those more irenic Dispensationalists who seek to build bridges between the Reformed and Dispensationalists. It should also interest those who, though they have been raised in Dispensational congregations, are investigating Reformed theology or who are in transition between Dispensationalism and Reformed theology, piety, and practice. In part 1 we looked at the claim by some Dispensationalists that covenant theology arose in the mid-17th century. The second thing that Dispensational apologists should stop saying that Reformed theology is a “replacement” or “supersessionist” theology. According to this criticism Reformed theology is supposed to teach that whereas the Jews were God’s visible people under the Old Testament, under the New Testament, they have been replaced or superseded (hence supersessionism) by the New Testament Church. This is a gross mischaracterization of Reformed theology and it begs the question, i.e., it assumes what it must prove. The charge is loaded with a premise that we do not accept: that “Israel” and “the church” are two distinct or parallel things. As we understand redemptive history the church has always been. There was a church, of sorts, even before the fall. The garden was a temple, a holy place, which Adam as prophet, priest, and king was to rule, guard, and administer. He failed. There was a church after the fall, beginning with Adam, then Noah, Abraham, Moses, David, etc. This is not some theory that the Reformed impose upon Scripture. The doctrine that the church has always been is a biblical idea. According to Deuteronomy 4:10, when Israel was gathered at the foot of Sinai (Horeb) they were gathered, before the face of Yahweh (‏לִפְנֵ֨י יְהוָ֣ה) as the covenant assembly (‏קהל). The Greek translation of the Hebrew Scriptures, which was highly influential upon the vocabulary of the Greek NT uses the expression “on the day of the assembly” (τῇ ἡμέρᾳ τῆς ἐκκλησίας). The noun that the LXX uses there and in Deuteronomy 9:10, 18:16. In Deuteronomy 23:3 (LXX) the same noun is used for the “assembly (‏ (קהלof the Lord” (ἐκκλησίαν κυρίου). Deuteronomy 31:30 speaks of the “assembly of Israel” (ἐκκλησίας Ισραηλ). This is the noun which, in the New Testament, is translated “church.” When our Lord says, in Matthew 16:18, “I will build my church” he uses this noun (ἐκκλησίαν). In v. 17, when he says “tell it to the church” (ἐκκλησίᾳ), he is saying, “tell it to the covenant assembly.” It is the very same idea, the very same sort of assembly in view in Deuteronomy 4, 9, 18 (as surveyed above) that is being invoked in Matthew 16. Here is a longer, more detailed explanation of the biblical doctrine of the church as the Christ-confessing covenant community. The Biblical understanding would be clearer if we used the same terms in both cases. We could speak of the church gathered at Sinai etc or Jesus building his covenant assembly. In the Reformed understanding, the church gradually became predominantly and distinctively Jewish with the institution of the sacrament of circumcision, as Paul says in Rom 4:–12. Abraham believed before he was circumcised, i.e., while he was a Gentile and he believed after he was circumcised, when he became a Jew. So it is with the history of redemption. God had his people under Noah and Abraham but, in the providence of God, the focus of redemption gradually narrowed, like a funnel, through redemptive history as it became focused for about a millennium, temporarily, on national Israel. From Israel would come the Savior of the world. So, for a time the church was predominantly Jewish. In no way do we diminish the importance of this administration of the church or the outward administration of the covenant of grace under national Israel. We agree with Paul who wrote, “They are Israelites, and to them belong the adoption, the glory, the covenants, the giving of the law, the worship, and the promises. To them belong the patriarchs, and from their race, according to the flesh, is the Christ who is God over all, blessed forever. Amen” (Rom 9:4–5; ESV). In Ephesians 2:12 Paul says that to national Israel was given “the covenant of promise” (διαθηκῶν τῆς ἐπαγγελίας). They had the highest privilege. I ask, then, has God rejected his people? By no means! For I myself am an Israelite, a descendant of Abraham, a member of the tribe of Benjamin. God has not rejected his people whom he foreknew. Do you not know what the Scripture says of Elijah, how he appeals to God against Israel? “Lord, they have killed your prophets, they have demolished your altars, and I alone am left, and they seek my life.” But what is God’s reply to him? “I have kept for myself seven thousand men who have not bowed the knee to Baal.” So too at the present time there is a remnant, chosen by grace (Rom 11:1–5; ESV). Paul appealed to himself as a proof that God was still honoring his promise and still saving his people, his elect, from among the descendants of Abraham. Further, it is held by many faithful Reformed theologians, on the basis of Romans 11, that there will a future, great conversion of Jews to new life and true faith in Jesus as the Messiah. That would be a glorious thing indeed. Therefore remember that at one time you Gentiles in the flesh, called “the uncircumcision” by what is called the circumcision, which is made in the flesh by hands—remember that you were at that time separated from Christ, alienated from the commonwealth of Israel and strangers to the covenants of promise, having no hope and without God in the world. But now in Christ Jesus you who once were far off have been brought near by the blood of Christ. For he himself is our peace, who has made us both one and has broken down in his flesh the dividing wall of hostility by abolishing the law of commandments expressed in ordinances, that he might create in himself one new man in place of the two, so making peace, and might reconcile us both to God in one body through the cross, thereby killing the hostility. And he came and preached peace to you who were far off and peace to those who were near. For through him we both have access in one Spirit to the Father. So then you are no longer strangers and aliens, but you are fellow citizens with the saints and members of the household of God, built on the foundation of the apostles and prophets, Christ Jesus himself being the cornerstone, in whom the whole structure, being joined together, grows into a holy temple in the Lord. 22 In him you also are being built together into a dwelling place for God by the Spirit (Eph 2:11–22; ESV). According to Paul, though there was a temporary dividing wall, under Moses and David (for about 1,000 years). That dividing wall has been demolished by the death of Christ. Now, for those who are in Christ there is only “one man,” as it were. Peace has been made. Reconciliation has been accomplished. Even under the Mosaic and Davidic administrations of the covenant of grace (the church) there were some Gentiles grafted in to the body as a foreshadow of the future ingathering of the Gentiles. Remember Naaman the Syrian (2 Kings 5)? He was a Gentile but he was received by the prophet as a member of the covenant community. Rahab is another case (Matt 1:5; Heb 11:31). In the NT we see that the Old, Mosaic covenant (2 Cor 3:14) was fulfilled and cancelled (Col 2:14) by the death of Christ. In the New Testament the nations, Gentiles, would be called to faith in Jesus the Messiah just as the Jews had been (Isa 52:10, 15; 60:3). Indeed, the actual inclusion of Gentiles into covenant communities (into the church) created a crisis that had to be resolved by a formal assembly (Acts 15). Paul had to address the problem repeatedly (e.g., in Galatians, Ephesians, Colossians, Philippians to name but a few). Now, in Christ, there is no longer any distinction between Jew or Gentile (See Rom 10:12; Gal 3:28; Col 3:11). The wall, erected in the temporary national covenant with Israel, has been destroyed never to be rebuilt. God is saving all his elect, Jew and Gentile alike (See Rom 11) and shall continue to do so until Christ returns. Reformed theologians and the Reformed churches have always believed this. The very category “replacement” is alien to Reformed theology. Like all Christians we pray for the conversion of Jews and Gentiles by the sovereign, gracious work of the Holy Spirit. With Paul, we pray for the conversion of Israel to saving faith in the ascended and glorified Messiah Jesus of Nazareth. Is Reformed Covenant Theology Guilty of Allegorizing?